Citibank was first founded as the City Bank of New York in the early 1800’s. Over the years they have grown to become one of the largest banking establishments in the market. 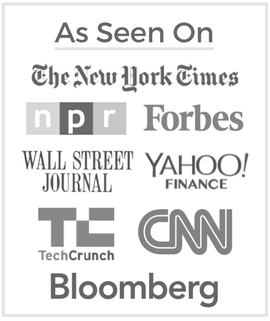 They offer standard banking solutions, investment products, insurance plans, and a variety of credit cards. 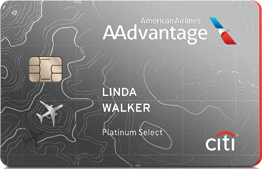 One travel credit card that you may consider offered by Citibank is the Citi AAdvantage Platinum Select World Elite MasterCard, which can also be considered an airline credit card. It’s a mouthful, but let’s take a closer look and see if it may be right for you. First off, this card offers travel benefits to the habitual spender. They offer miles when you swipe your card for purchases. Anytime you swipe your card, you will earn one mile per dollar spent on regular purchases. You can earn 2 times the miles when you use your card on American Airlines purchases. As an added bonus, when you redeem your miles, you will actually get 10% of your miles back to go ahead and give you something that you can start building upon again. As a cardholder, you can earn a bonus of 60,000 American Airlines AAdvantage bonus miles once you spend $3,000 with your card in the first three months of being an accountholder. The good news is that there is no cap on how many miles you can earn, and they don’t expire as long as your account is active and in good standing. On top of earning miles towards flights, you can also get your first checked bag for free on all domestic American Airlines flights, and you also receive preferred boarding on those flights. You can even save up to 25% on in-flight purchases for beverages and food. Cards are also equipped with EMV chip technology, making it safer than ever before for you to use your card at chip enabled terminals across the globe. You will also have a protection against fraudulent activity on your account, giving you even more security with your account. These are all great perks that come along with being a cardholder. Now that you know a little bit more about the benefits and rewards of the Citi Platinum Select World Elite MasterCard, it is time to look closer at the rates and fees. For this particular card, there is a $95 annual fee; however, the fee is waived for the first 12 months. This means you won’t pay an annual fee until your second year as a cardholder. There is also a cash advance fee of either 5% or $10, and a balance transfer fee of 3% or $5. There are no foreign purchase fees, which is great news if you are a world traveler. On top of the fees with this card, it is also important to understand the structure for the annual percentage rate. The APR for purchases will range anywhere from 16.99% to 24.99%, depending on the market prime rates and your own creditworthiness. Balance transfers also fall into this same APR. A higher APR is applied to all cash advances which is 26.24%. Keep this in mind when you want to get cash from your card. There is a potential penalty APR, of up to 29.99%, that may be applied to your account if you have a late or returned payment. The best way to avoid this jump in the interest rate is to pay your bill on time every month. So, is the Citi Platinum Select World Elite MasterCard a good card choice for you? Most people like the fact that they do waive that annual fee for the first year, allowing you to try the card before you commit to the fees. This is something that you may want to take advantage of. Even after the fee is waived for the first year, it isn’t too high like some of the other frequent flyer cards out there. Most people also find that the rewards more than pay for the annual fee over time. If you enjoy flying, then you will definitely reap benefits with this card. Go ahead and apply and you can get your determination in just a matter of minutes, and your new card can be on the way to you.